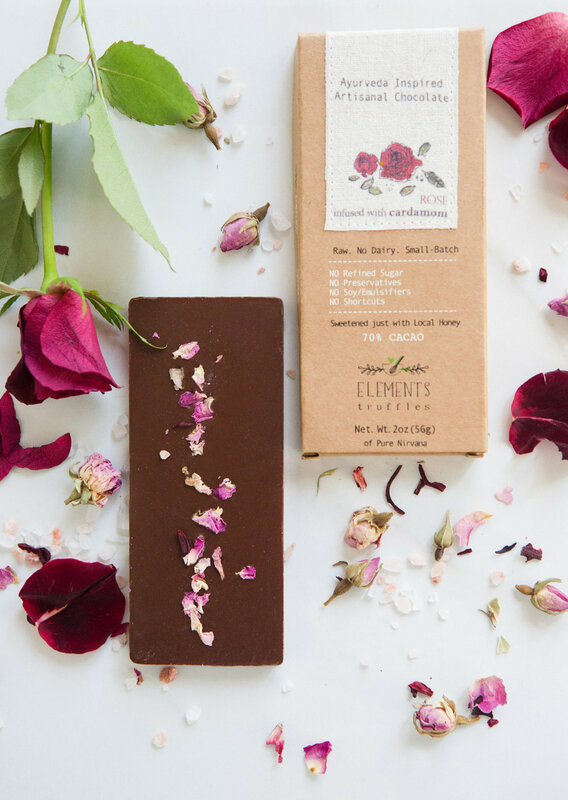 About: Elements Truffles are raw & organic chocolates are the first one to be flavored with pure essential oils. They are free from any dairy or refined sugar and are sweetened with local honey. Our mindful chocolates are free from any preservatives, emulsifiers or GMOs. These are handmade in micro batches and infused with Ayurvedic super foods such as turmeric, beet root, lavender & cardamom. Our purest ingredients have been selected from Fair Trade manufacturers. Moreover, we give back 25% of the profits towards education of under-privileged children. Our bars also come with some of the best packaging that you will not find anywhere! Company History: Once upon a time, I was a trader on Wall Street. Those were some stressful days and I still remember how each time when going got tough, a good chocolate kept me going. Then along the way I was introduced to the world of spirituality. That is when I experienced how balancing five intrinsic elements of our body could bring one back home - to the natural state of happiness, calm and peace.